Eating more fruits and vegetables may improve your overall health and reduce your risk of prostate problems, namely prostate cancer, one of the leading cancers in men, according to the American Cancer Society. If you have a hard time eating your fruits and vegetables, juicing may be an option. The Academy of Nutrition and Dietetics says you should aim to eat 2 1/2 cups of vegetables and 2 cups of fruits a day to help keep your prostate healthy. Try to include brightly colored options to get the most nutrients. Fruits and veggies that are dark green, orange or red tend to contain high amounts of carotenoids, which are nutrients especially beneficial to prostate health by preventing prostate cancer. Good juicing options include carrots, tomatoes, kale, dandelion greens, papaya, oranges, grapefruit and berries. You can create a variety of tasty juice combinations using the nutrient-rich choices. For example, you can juice carrots, celery, kale and apple to up your carotenoid intake. 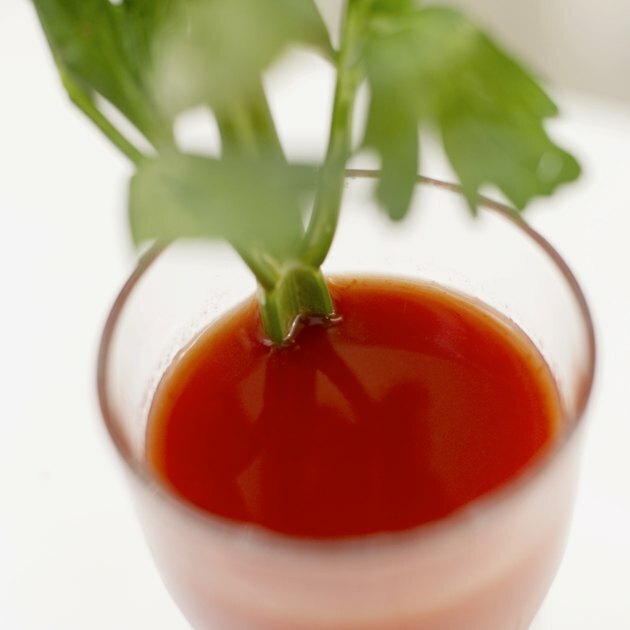 Tomatoes juiced with cucumbers, spinach and a touch of ginger also makes a tasty concoction. Tomatoes are a rich source of lycopene. Men who consume more lycopene have lower rates of prostate cancer, according to the Linus Pauling Institute. Another tasty and healthy juice combo for prostate health might include papaya, oranges and carrot. In addition to being a concentrated source of vitamins and minerals, fresh juice is also a concentrated source of sugar. To keep a lid on your sugar intake, make low-sugar vegetables, such as leafy greens, cucumbers, tomatoes and celery, the highlight of your fresh juice and add a small amount of fruit for sweetness. Also, wash your fresh vegetables and fruits thoroughly before juicing to reduce risk of bacterial contamination, and only juice the amount you plan to drink. Fresh juice can certainly help up your intake of the vitamins and minerals you need to keep your prostate healthy, but you're missing out on the fiber, which is also important for prostate health. Limit your fresh juice to 8 ounces a day, and get the rest of your fruits in veggies in whole food form. The University of California, San Francisco reports that getting more fiber from whole foods not only reduces your risk of prostate cancer, but may also slow progression. American Cancer Society: What Are the Key Statistics About Prostate Cancer? Academy of Nutrition and Dietetics: Prostate Cancer Prevention: Can Proper Nutrition Help? QuickandDirtyTips.com: Nutrition Diva: Juicing: Healthy Habit or Blood Sugar Bomb? What Are the Benefits of Drinking Beetroot Juice? How Do I Use Ginger in Juice?